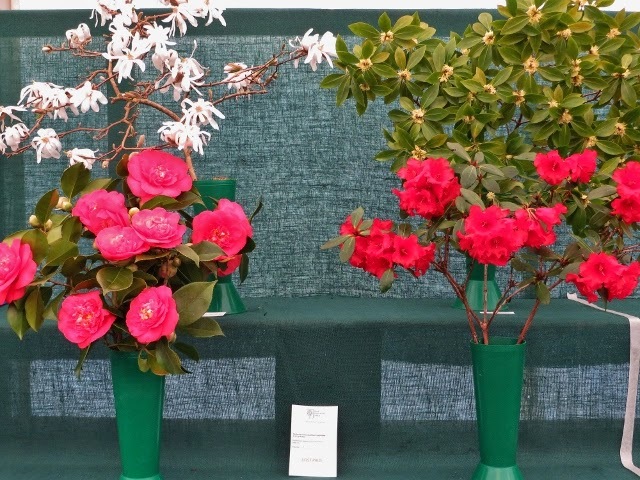 High Beeches took part in the Early Rhododendron Competition at Wisley last weekend. Competing in the RHS Shows is challenging but hugely enjoyable and High Beeches had a successful show with a number of firsts. We usually do better in the classes for species rather than hybrid rhododendrons and this year was no exception. One first in the hybrid section, six firsts in the species section and the garden was awarded the John Fox Plate for the largest number of points gained overall in the South East Group. Our prize winners included Rhododendron Florida Ogada, Rh. neriflorum, Rh. luteiflorum, Rh. irroratum 'Polka Dot' and Rh. racemosum. 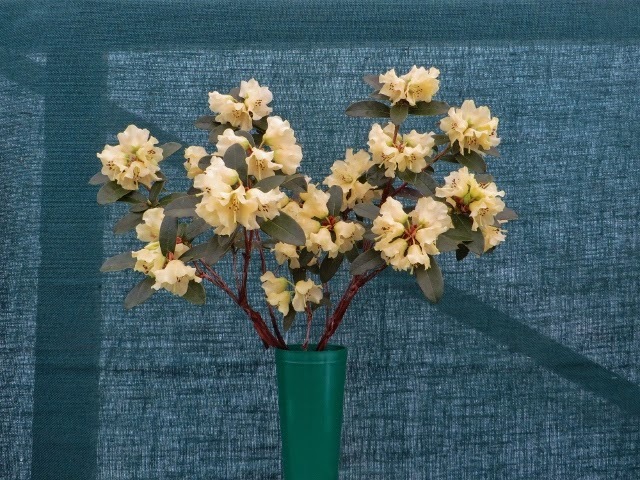 We were also successful in the class for 'Four trees or shrubs of different genera, one vase of each' winning it with Camellia R.L. Wheeler, Rh. arboreum x repens, Magnolia stellata and Illicium anisatum.